“Zwerver I” is still going strong on “SARB-project” (Satah Al Razboot (SARB) Project) in the UAE for the DI-Medco JV since October 2011. 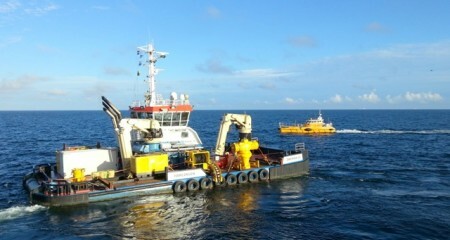 After finishing the “Riffgat UXO removal project” the “Zwerver III” started in the Baltic Sea for VSMC-Boskalis Offshore. The scope of work is Jointing and burial operations on the Baltic II OWF Export cable. Jointing- and touch-down operations were controlled by the “Zwerver III” with a Echoscope survey tool, installed on the vessel. 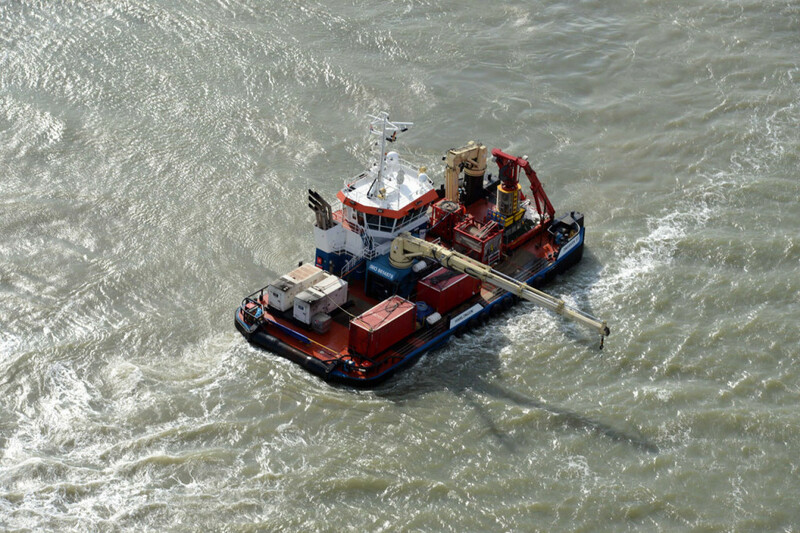 The “Zwerver III” successfully ended the “Riffgat UXO removal project” for Boskalis-Hirdes EOD Services GmbH. 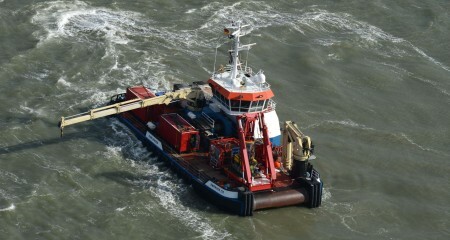 On this project, the “Zwerver III” showed her capacities with a Hallin ROV spread installed on board. 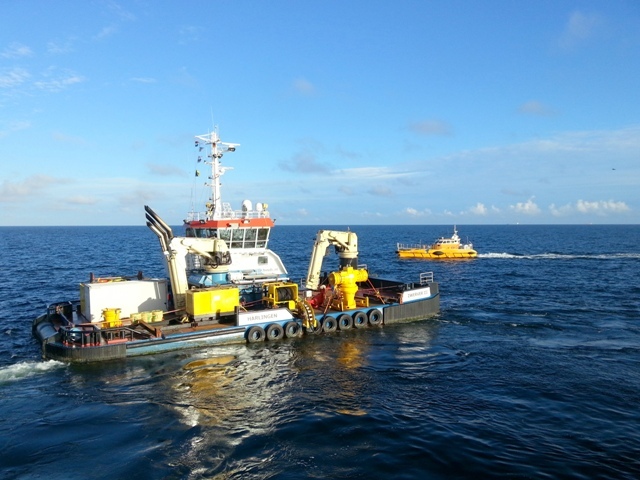 All the UXO on the designated export cable route was removed safely with the ROV. The project duration was 11 months for HVSDS. After Tees side trenching completion, we went straight to Riffgat Offshore windfarm where we started with ROV support operations. 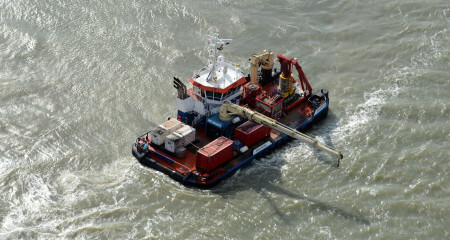 A complete workclass ROV installation had to be installed on board of the “Zwerver III”. 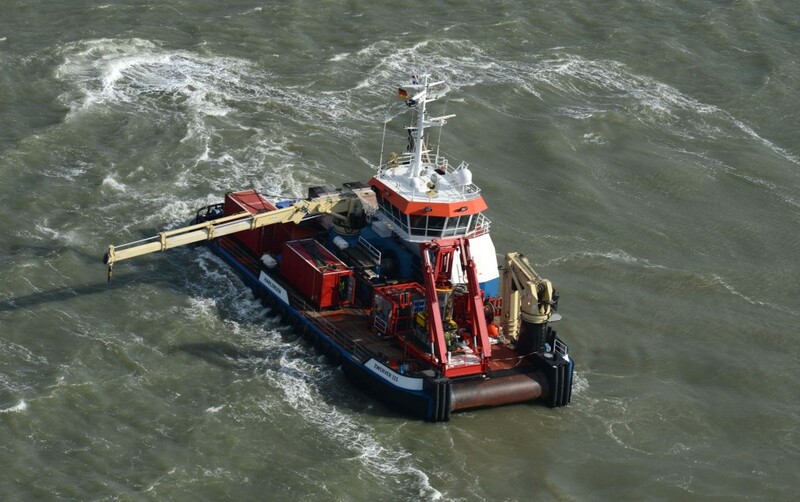 Scope of work is UXO clearance/investigation on the export cable route from Riffgat Offshore windfarm above the island of Borkum to the German coast.